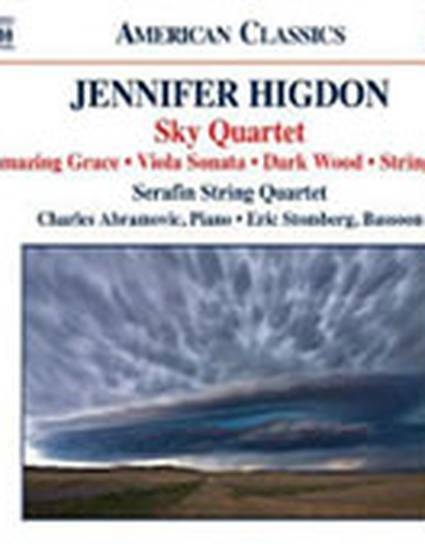 This audio recording includes performances of the following works by composer Jennifer Higdon: Sky Quartet, Amazing Grace, Viola Sonata, Dark Wood, String Trio. Performing on this CD are Timothy Schwarz (Violin), the Serafin String Quartet (Kate Ransom, Violin; Lisa Vaupel, Violin; Sheila Browne, Viola; and Lawrence Stomberg, Cello), Charles Abramovic, Piano, and Eric Stomberg, Bassoon. CD is available from Naxos.